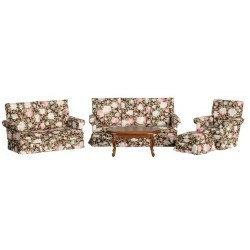 One purchase is all you need to furnish your dollhouse living room. 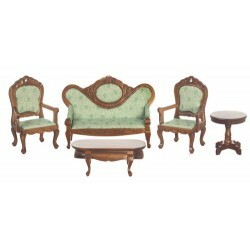 Our sets of miniature dollhouse living room furniture feature luxury and classic sets that are sure to please all collectors. 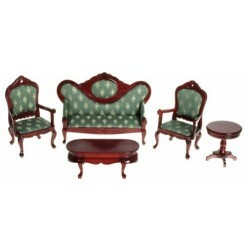 Redecorate and redesign your dollhouse with this Victorian Living Room Set/5/mah. Your decor and collection of miniatures will be taken to another level of fabulosity. 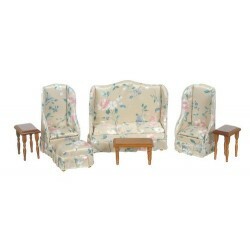 You will love this Living Room Set/4/waln as it complements your other miniature dollhouse furnishings. Now is the time to design a great new look! Adding this 8-Pc. True Oak Modern Living Room Set to your miniature collection is just what you need to make your dollhouse a home, and showcase your fabulous taste. 8-Pc. 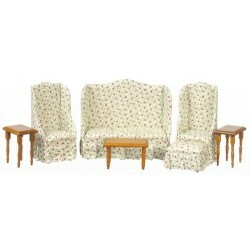 True Oak Modern Living Room Set from our line of Dollhouse Living Room Furniture. 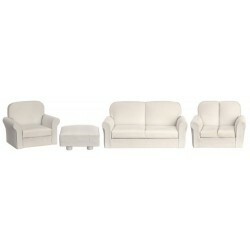 You will love this Living Room Set/4/white as it complements your other miniature dollhouse furnishings. Now is the time to design a great new look! 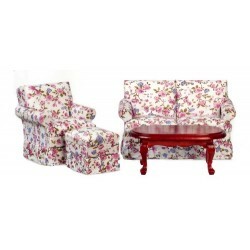 Adding this Floral Living Room Set/5 to your miniature collection is just what you need to make your dollhouse a home, and showcase your fabulous taste. 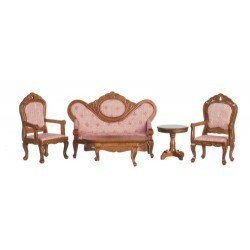 You will love this Victorian Living Room Set/5/gr/m as it complements your other miniature dollhouse furnishings. Now is the time to design a great new look! 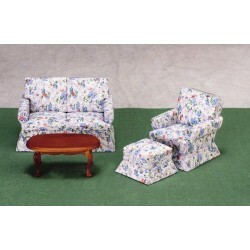 Enhance your dollhouse collection with this Corner Sofa Set/4/wht/cs. Added to your other dollhouse miniatures, it is a complement for a variety of styles and tastes. You will love this Vict.liv.rm.set/5/l.r./wa as it complements your other miniature dollhouse furnishings. Now is the time to design a great new look! Adding this Living Room Set/7/wal/cs to your miniature collection is just what you need to make your dollhouse a home, and showcase your fabulous taste. You will love this Q.a.liv.rm/set/4/grn/cs as it complements your other miniature dollhouse furnishings. Now is the time to design a great new look! Adding this Living Room Set/5/mah to your miniature collection is just what you need to make your dollhouse a home, and showcase your fabulous taste. You will love this Living Room St/4/gy/wa/cs as it complements your other miniature dollhouse furnishings. Now is the time to design a great new look! 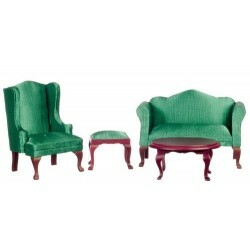 Enhance your dollhouse collection with this Vict.liv.rm.set/5/l.g/wal. Added to your other dollhouse miniatures, it is a complement for a variety of styles and tastes. 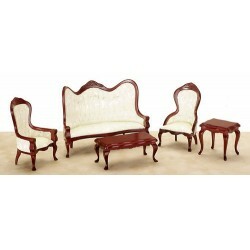 You will love this Living Room Set/7/prnt/cs as it complements your other miniature dollhouse furnishings. Now is the time to design a great new look! 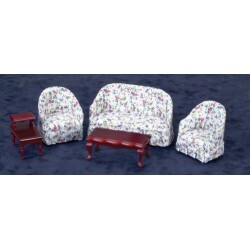 Adding this Living Room Set/4/waln to your miniature collection is just what you need to make your dollhouse a home, and showcase your fabulous taste. 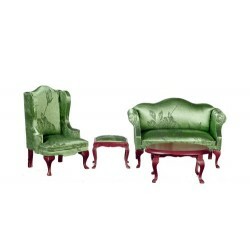 You will love this Green Brocade Queen Anne Living Room Set as it complements your other miniature dollhouse furnishings. Now is the time to design a great new look! Adding this Small Living Room/4/ma to your miniature collection is just what you need to make your dollhouse a home, and showcase your fabulous taste. 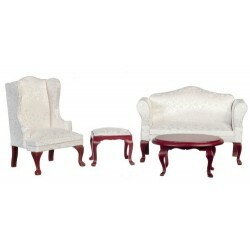 Spruce up your dollhouse with this miniature Queen Anne White Living Room Set 4pc. 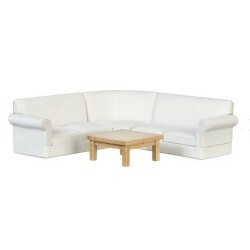 We have many miniature Living Room Setss for that finishing touch.